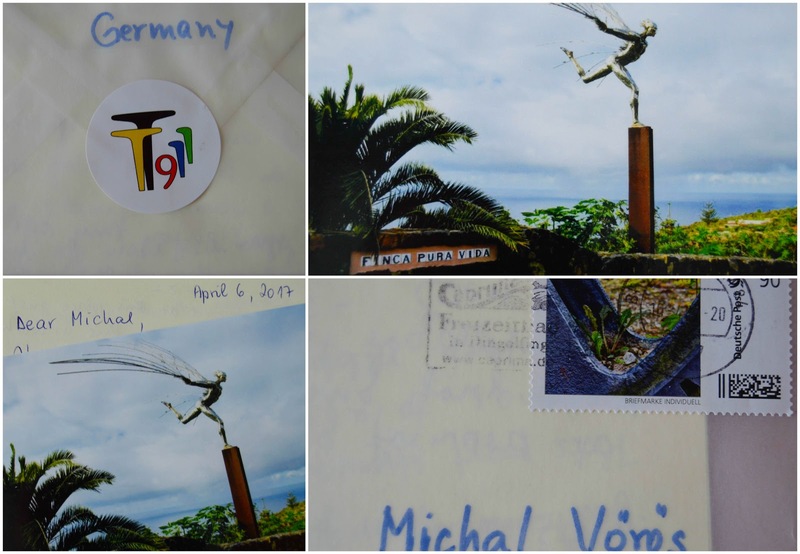 The card Michal received from me is the Icarus I found on the island of Tenerife. The stamp is a detail from a calender (a machine in which cloth or paper is pressed by rollers to glaze or smooth it) which used to be in one of factories in my hometown, a historic display on a public place. History is not completely dead, as a plant - a dandelion - grows out of the dirt that accumulated over the years.